If I can be bothered to get Talisca I might have to build this team. How do you think it will play? Not used Neymar really this year so fancy giving him a go now he has dropped in price. 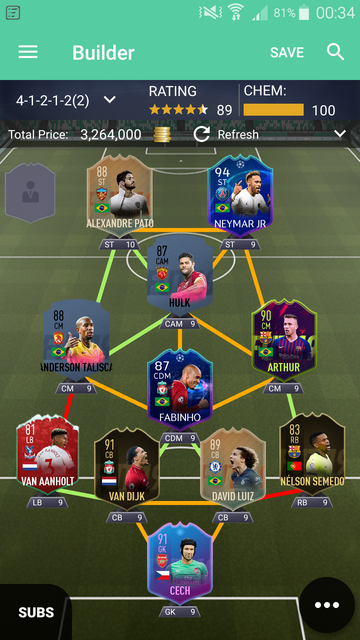 Switch Luiz with VVD and get SIF Sandro. I could do but I was planning on using the rest of my coins on my second team.